Method to Improve Meditation | Learn Qigong Online @ Discover The Fire! 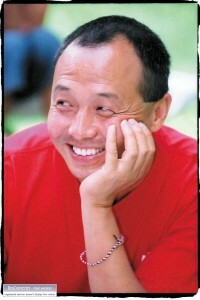 Here is a very simple technique to improve meditation courtesy of Yang-Sheng.com. Taiji insights sometimes come from unexpected places. It happened to me earlier this year on a visit back home to Illinois. The occasion was a conversation with a good friend who had just retired from the University as a professor. I asked him how his life was now that he had retired. He said, “It is a special kind of feeling: I wake up in the morning without pressure to teach any classes, to meet any deadlines for grant application, to attend administrative meetings, to meet my graduate students . . . I do not have an agenda for today.” Afterwards, I wondered about that feeling because I had never experienced it. These days my efforts are focused on initiating more Taiji/Qigong research projects and disseminating our evidence-based Taiji and Qigong program. On a typical evening, I summarize what I have done during the day and come up with a list of what I am planning to do the next day. I wake up every day with a busy agenda. I usually practice my sitting meditation in the early morning for about 45 minutes. During the sitting session, thoughts about different projects and other issues pop up. I had been using different techniques to lead myself into tranquility. After the visit, I decided to try this method. At the beginning of my meditation, I now say to myself, I am retired and I do not have an agenda for today. I remind myself at the very beginning and a couple times during the sitting session. It is amazingly effective. You might have heard the famous Chinese saying regarding the mechanism of Qigong healing: “Why does Qigong have a healing effect? It is because of song (mental and physical relaxation) and jing (tranquility of mind).” You may have practiced meditation for 20 or 30 years, and you may think you know relaxation well and you can enter into tranquility easily. You are correct, but you can go deeper by using this technique: say to yourself at the beginning of your meditation: I am retired and I do not have an agenda for today. Everyone has his or her own favorite techniques for going into tranquility. This is simply another method you can try. It might generate additional Song and Jing. You might come out of your sitting session with a clearer mind and a better focus, and you might have a more tranquil and efficient day. 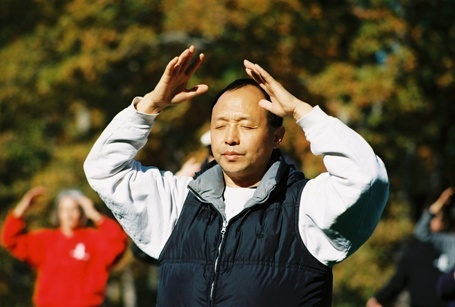 Hopefully this article from a Qigong Master will help you improve meditation.